Battery-powered 500J studio flashes offering 1/8000 second sync are in the works. Battery-powered 500J studio flashes with 1/8000 second shutter-sync are in the works at German lighting manufacturer Priolite. First deliveries are expected next month, starting at €1630. Christian Anderl, a photographer based in Vienna, posted a behind-the-scenes video on his web site showing a prototype Priolite MBX 500 Hot Sync at work in the mountains of Styria, southeast Austria. The fast-syncing version of the 500J head was used to capture action shots of snowboarder Cri Maierhofer on the slopes. 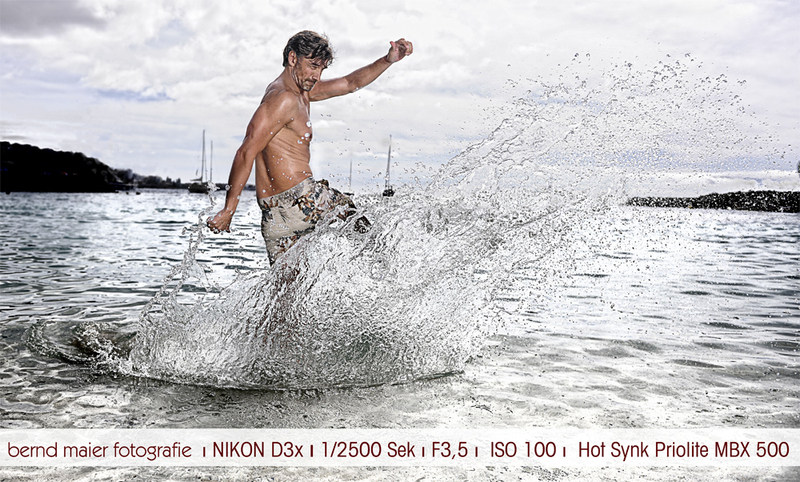 According to his experiences with the unit, the Hot Sync flash synchronises at shutter speeds as fast as 1/8000 second, and at full power provides around 200 flashes from a single battery charge. Like the original MBX500, it will have a hybrid Hensel/Bowens accessory mount, a removable lithium battery pack and 2.4GHz wireless remote control, which Anderl says must be first calibrated with your DSLR — Nikon or Canon — to get the high-speed sync working. 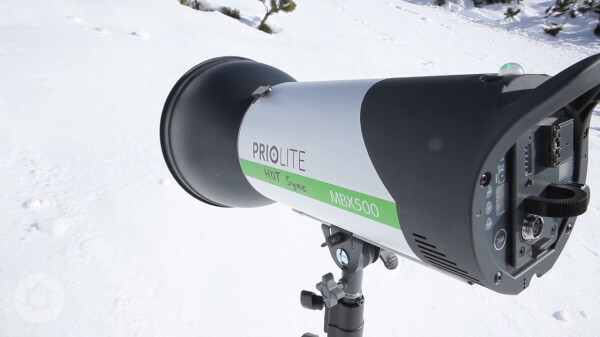 “Priolite has now developed a solution that allows the photographer to use all shutter speeds the camera has, up to the ultra-fast 1/8000 sec. The full output of the studio flash light is available to the sensor. With this solution very fast movements can be frozen in mixed light of flashlight and ambient light. The company revealed that a kit will cost €1830 (net) including an MBX 500 head, 7-inch reflector and Prio Control HS 1 remote. Individual heads will cost €1630 each and spare Remote RC-HS units will cost €210. All are expected to start shipping in January 2014. As the D4 IGBT HSS — a similar light from the ill-fated StroBeam company— never fully materialised, fans of “big light, fast sync” are sure to be watching this product launch closely. For more details and sample photos, read Christian Anderl’s blog post or check the manufacturer’s web site at priolite.com.